We are busy this year! 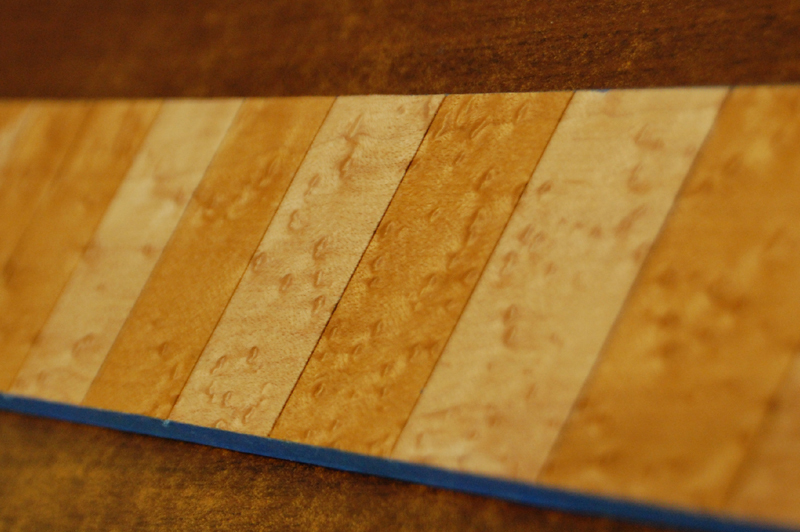 Just finished up a couple of project and already on another, a birdeye maple fretboard. I have no idea what I will do with it afterwards, but it makes a great example project for testing the SG series lights. I looked around the internet to find this fretboard, which I had to order without seeing the actual example I was going to get. Any time you do that, there is some risk. Sometimes you win, sometimes you lose, this time I might have just broken even. I wasn't thrilled with the one I got. Lots of dark area by the first few frets, etc. The birdeyes themselves are not particularly impressive either. I won't mention the company name, it doesn't matter. But then again, it was $25 including shipping so I guess I shouldn't expect much. This probably isn't the best example, but it will have to do. Click on any image for a close up in a new window. I decided the easiest way was to mask off individual frets, so the frets that normally have dots instead will be left plain white, while the normally blank frets will get aged. Sounded good, at least on paper. A few things went wrong. Even with two layers of tape, I can tell that some UV got through. This is kind of surprising, but live and learn. 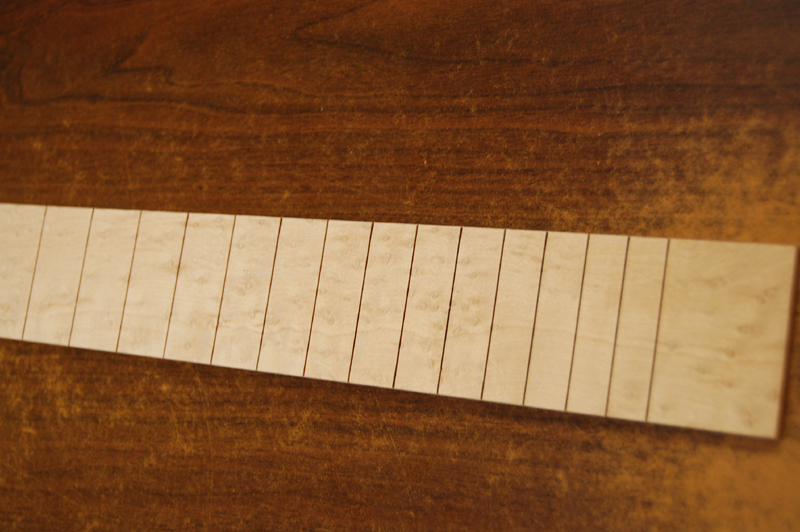 Regardless, the images do show a decidedly more roasted look compared to the frets without any aging. How much depends greatly on the angle you view it from, which is a bit unusual as the aging is usually the same from any angle. 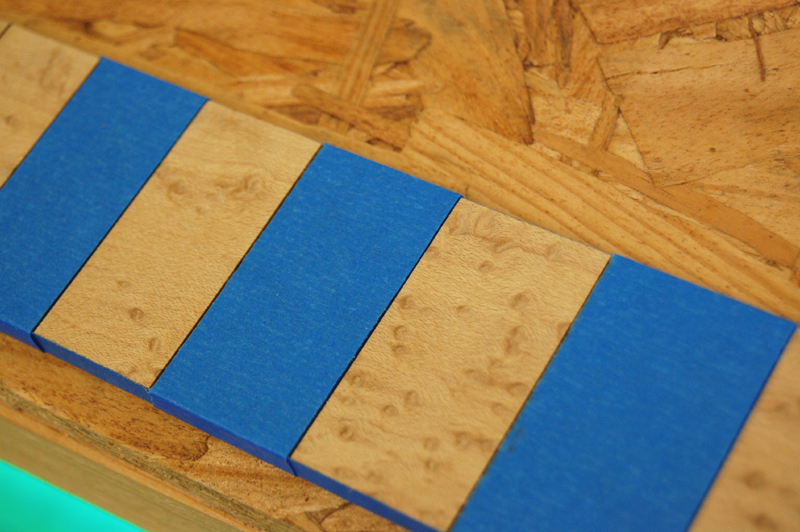 This one image is of the fretboard right off the UV aging rig and with NO sealer. 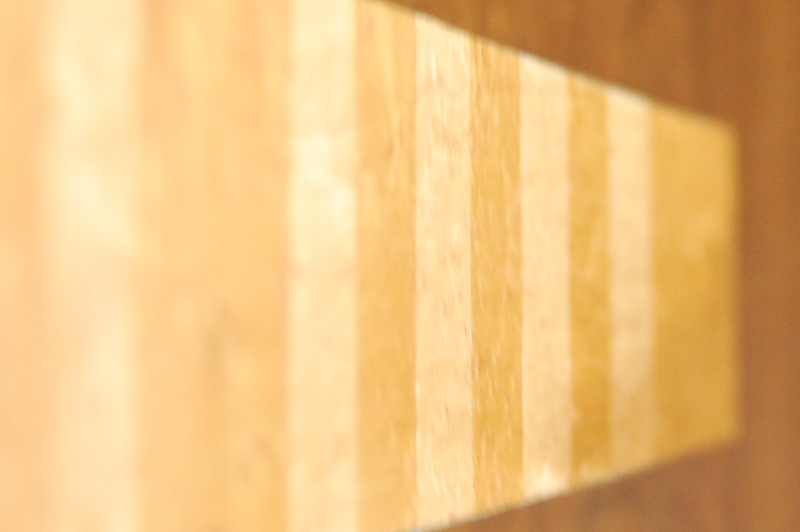 As you can tell, it is definitely aged, but the aging becomes more obvious when we put just a touch of finish on it, below. I would call this a modest success. Yes, we aged birdseye, albeit of middling quality. We did so for 94 hours under VHO lighting with lamps that are about 1/3 through their life, which is plenty of light. We did get a clear result, and the bottom photos show after I put a very thin coat of wood sealer (Solarez's own, which is good stuff) and cured it for about 4 minutes using the same lights. Does it look better with the aging on it? Absolutely. 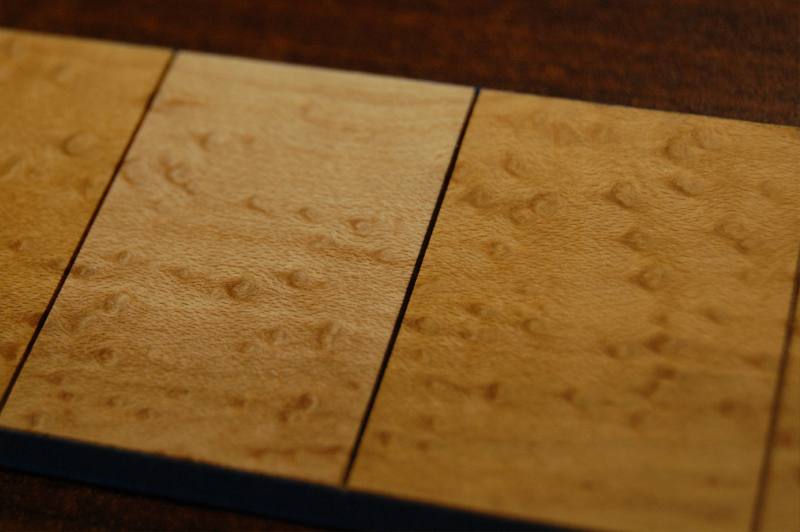 The grain show through better, the little burls are darker and have better definition, and the wood has a warm hue to it. 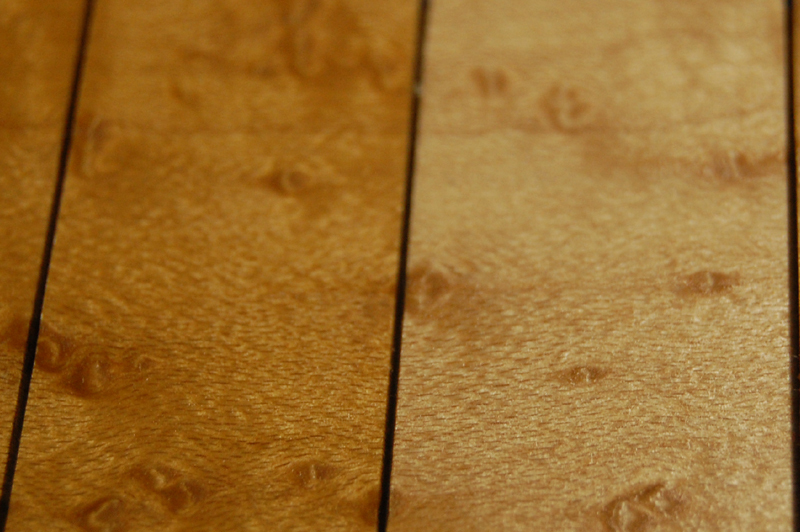 I'm not thrilled with this particular piece of wood, but I am sold on the idea of aging birdseye as it does what it should do: add character and definition.